Stanford University Develops a Solar-Powered Bionic Eye! Solar technology could have a role in reversing blindness in the near future. Stanford University researchers have invented goggles that can send information to chips – which behave like solar cells – implanted into eye retinas. These new retinal implants would require far less invasive surgeries than the very limited options that are currently available. The “bionic eye” could potentially give the blind the gift of sight once again. According to James Loudin, an electrical engineering professor at Stanford who took part in the study, the development of the specialized goggles and retinal implants took many years and involved technologies from four different academic departments. The system starts with the goggles, which have a miniature camera embedded in the nosepiece, and then images from the camera are sent to a portable computer that is no larger than a smartphone. In turn, the computer generates the video images that are transmitted into the eyes via infrared lasers inside the goggles’ lenses. The lasers then are reflected onto tiny photovoltaic chips embedded under the retinas. Biology then takes over from there as the retinas convert the light into an electrical current, sending messages to the brain and allows the patient to see. The bionic eye’s development faced several hurdles. First, the team had to develop a technology that would deliver the visual information, coming in streams of thousands of pixels, at a video rate. The placement of the cells’ electrodes close enough to target retinal cells also posed its own challenges. Infrared light was also critical because natural light is 1000 times to weak to power the Stanford team’s retinal implant. Researchers, however, were concerned at first that the heat from the laser’s light would damage other areas of the eye. 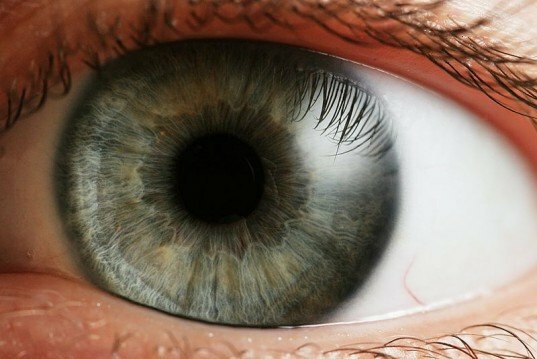 Testing of this new bionic eye system has yet to occur on humans. So far the researchers have only used retinas from rat eyes in a laboratory. The next phase is testing the implants on rat eyes. Other research around the world has used similar technologies, but they required complicated wiring, which for patients meant extensive surgery. A cure for blindness is still far off, but it could very well be a reality. Solar technology could have a role in reversing blindness in the near future. Stanford University researchers have invented goggles that can send information to chips - which behave like solar cells - implanted into eye retinas. These new retinal implants would require far less invasive surgeries than the very limited options that are currently available. The “bionic eye” could potentially give the blind the gift of sight once again.